What if I Am Guilty of the Accusation? Can I Have a Guilty Verdict Expunged? What if I Have a Criminal History? Perjury is defined as the act of swearing an oath to tell the truth, either by speaking it or writing it with the intention of lying or withholding information. As you can imagine, perjury is considered a very serious offense because our judicial system relies so heavily on witness testimony and accounts to prosecute criminal acts as well as to defend alleged criminals who have yet to be proven guilty. Not only does our judicial system endeavor to prosecute those who have committed a crime, but it is dedicated to protecting the innocent who may fall victim to a false witness. What Happens When You Get Your First DUI? There is nothing wrong with having a few drinks, but when you drive under the influence, you risk a lot. Learn what happens when you get your first DUI. Convictions are often hard to acquire. But the system is designed that way. Here are some of the challenges prosecutors must overcome to make their case. In previous articles, I've described in general terms, the meaning of "white collar crime." While non-violent in nature and, by definition, committed by members of the educated, professional class, these crimes are still rigorously prosecuted in most jurisdictions and often carry stiff penalties. But this may leave you wondering, exactly what crimes are classified as "white collar"? Although marijuana has been legal for recreational use in California for nearly a year now, many people are still confused about how to obtain pot and where they can legally smoke it. The fact is, while California's laws governing private marijuana use are now far more liberal than they've been since the early 20th Century, significant legal restrictions remain in place; violations can carry significant criminal penalties. What Would Happen if Prosecutors Never Flipped Defendants? With all the recent high-profile discussion of “flipping defendant’s” I thought it might be interesting to discuss what “flipping” really means and how it affects a defendant and the criminal justice system. The California Money Bail Reform Act signed into law September 25, 2018, is meant to level the playing field between rich and poor defendants in the state’s criminal justice system. Essentially, the law eliminates cash bail and leaves the decision to release a person after arrest up to a judge, with input from other court personnel. Sign up with your email address to receive news and article updates. I’ve had a lot of experience with lawyers over the years, but never a good one until now. Robert is a professional. He conducts himself as such and is very involved in his work. Not only is he professional but he is also someone you can talk to on a personal level. I highly recommend Robert and would undoubtedly use him again in the future. 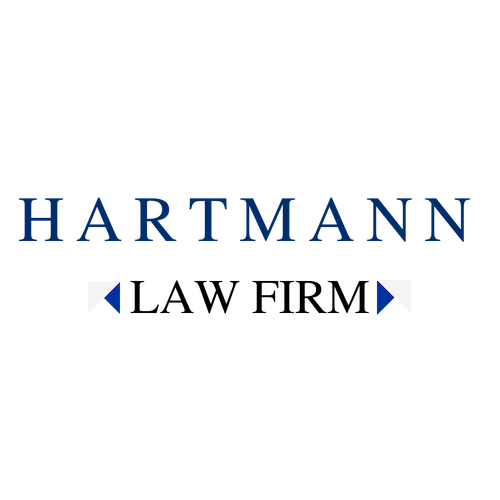 I will always highly recommend Mr. Hartmann to anyone looking for the best attorney out there. He is undoubtedly a caring and most importantly, honest, attorney. Highly recommended! Your news that my case will be dismissed is good news. Thank you for your representation on this. I’ll be sure to let our mutual friend know his recommendation to you was spot on! I can’t express enough my gratitude for your generosity, patience, expertise and willingness to work on my case. Your professionalism and courtesy, combined with your ability to keep your head when I was losing mine, are all attributes worthy of respect. Thanks for everything you did for me during the process of my trial. It really is nice to know there are lawyers like yourself that care. Thank you so much for all your help! I really appreciate all you did to help me! I am so glad I had you as an attorney. I know you fought hard to get me the best possible outcome. Thank you so much! or any individual member of the Firm does not establish an attorney-client relationship. Please do not send any confidential or time-sensitive material unless previously discussed with the Firm.